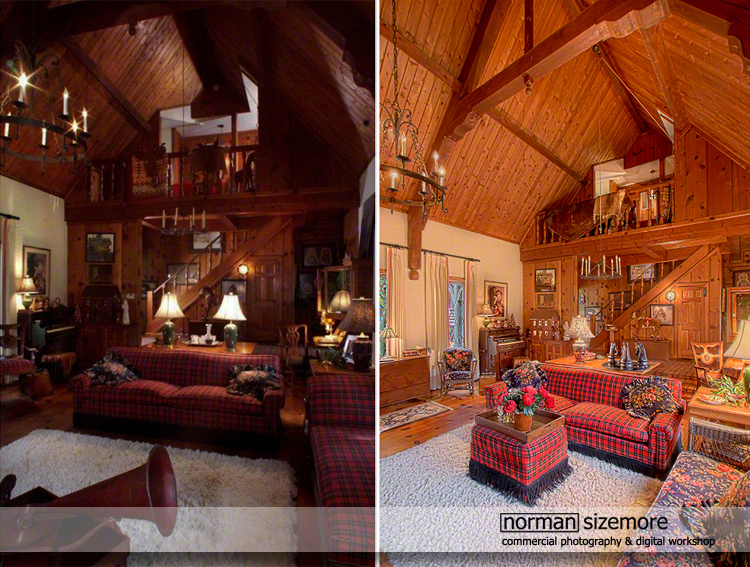 Chicago Interior & Architectural Photography: Whatever Happened to Good Photography? Whatever Happened to Good Photography? I am always a bit surprised, and highly disappointed, when I thumb through magazines and click through websites and see pages and pages of truly bad architectural photography. 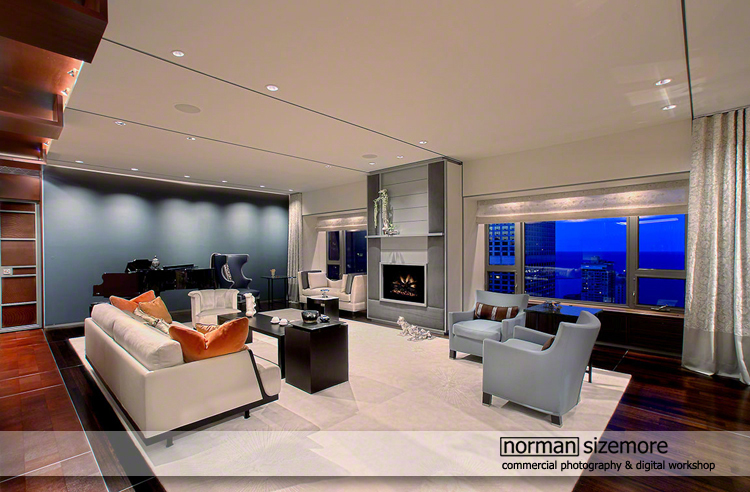 I specialize in high-end interior and exterior architectural photography. So, I find it quite disturbing when I look at an image supposedly shot by a professional and I can't see through the windows. Ask yourself, when have you ever been in a room on a sunny day and haven’t been able to see through the window? Exactly. How about when window treatments are blown out and unrecognizable, and you can't see what the light fixtures should look like? Have you seen those wide angle views with walls and doors that resemble the shape of a banana? I can’t stand it when someone shows me a photo in a magazine and tells me how 'airy' a shot looks. 'Airy'? Really? The technical term is 'over exposure', and it is caused by someone who doesn't know the first thing about running a camera. Images like these would have NEVER been accepted for publication by a qualified photo editor not too many years ago. What has happened to our industry's standards? I was commissioned to photograph the interior of a designer's home. 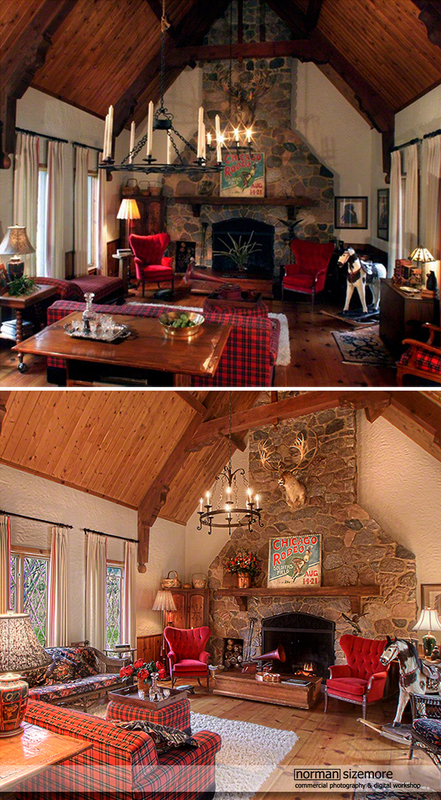 It was a beautiful house in a lovely, rural setting. It reminded me of being in a lodge or resort. 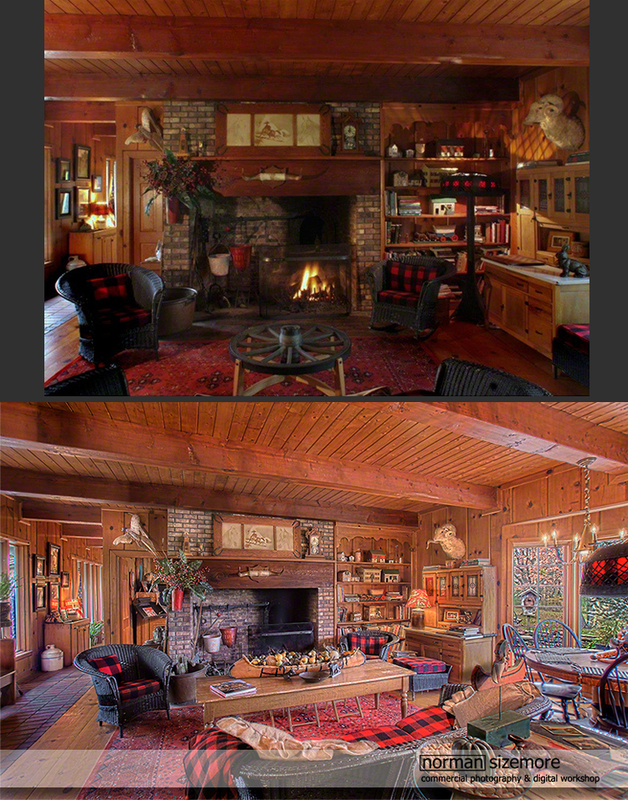 The designer actually had the home already photographed by another Chicago professional. I didn’t see those images until my client and I were viewing the work that I had shot. Below are a few comparisons. You won’t have any trouble telling my work from theirs. I later learned that the first photographer had worked with a crew and brought in studio lights. I came in with a camera bag on my shoulder. That's it. All I ever have. Oh, I was also holding a cup of coffee. This reminds me of a photo shoot with another designer, who hired me to photograph the interior of a amazing Chicago condo. When I arrived I learned that space was being photographed by another photographer for publication. No problem. I met the photographer, all dressed in black, along with his assistant also all dressed in black. They had with them tripods, soft boxes, bank lights, light packs, scrims, reflectors, laptops and more cameras than one has a right to own. I smiled and watched them work; they were very busy setting up lights, moving about, holding reflectors taking light readings. After about six long hours, I think they had created maybe three or four shots. In less than four hours I photographed the entire condo sans one bedroom and we ended up with about thirty final images. They are stunning and clean, beautifully lit, and highlight the design and architecture of the space. No over-exposed lights, blown out windows, or distorted vertical lines. I guess my point in all of this is that our industry as a whole now accepts poor photography overall and I don’t understand why? There are many outstanding photographers that specialize in this field. 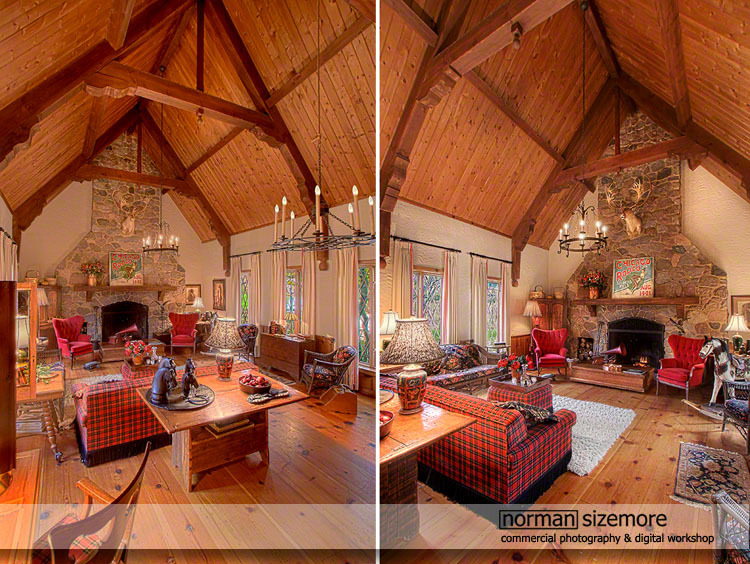 Photographing interiors and exteriors requires skill, usually honed with years of experience. It is important that when you select a photographer, that their work will accurately reflects yours. There is no reason to compromise. One good photograph is worth more than dozens of poor ones. I think there is a widespread misconception that quality photography must be prohibitively expensive. If you are using images with any of the flaws mentioned above, please contact me for a quote. You might be surprised to learn how affordable high-end photography can be.